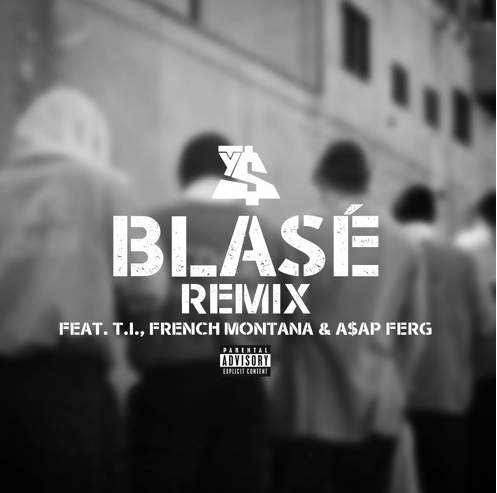 The second new "Blasé (Remix)" -- T.I., French Montana, & A$AP Ferg. Ty Dolla $ign just dropped not one, but TWO remixes of his eternal banger "Blasé." Between DJ Spinz's intoxicating production and Future on the hook, the track has produced more than its fair share of dance floor magic. Today, it is the gift that keeps on giving. The first remix featured Jeezy, Juicy J, & Diddy -- for the second, Ty recruits the talents of T.I., French Montana, & A$AP Ferg. Head HERE to stream the remix with Jeezy, Juicy J, & Diddy. Diddy's ad-lib game is the opposite of on fleek. Which remix you like more?